I didn’t realize how special this year is to our Chinese clients and friends, or the significance of what “being born in the year of the dragon” meant to the Chinese culture. Monday, January 23rd, 2012 was the 1st day of Chinese New Year and this year, like every 12 years before, is considered the Year of the Dragon. A year known to be the luckiest of all the Chinese Zodiac signs, not only for children but for marriages and businesses as well. This year, the celebration is also the longest and most important in the Chinese calendar. People are known to take weeks or longer off work in preparation for Chinese New Year. SAI has been flooded with couples from China who are hoping and praying to become pregnant through surrogacy so they can have a baby born by February 9th, 2013. In order for this to occur, they would need to be confirmed pregnant by the middle of May. We are happy to report our clients are well on their way to achieving this goal! SAI has a large surrogate database and within the last 6 months, many of our surrogates have been matched with Chinese clients. The Chinese culture believe strongly in luck and in times known to be the luckiest, many people choose to marry and have children. It is believed that Buddha asked all of the animals to meet him on Chinese New Year. Of the 12 that showed up, he named a year after each one: Rat, Ox, Tiger, Rabbit, Dragon, Snake, Horse, Sheep, Monkey, Rooster, Dog and Pig. In China, people wear red during New Year celebrations, decorate in red and give children money in red envelopes. It is believed that red symbolizes fire which can drive away bad luck. Chinese New Year is known to be the most important of all the Chinese holidays with over 1.3 billion people celebrating it in China and countless others around the world. In China, this time of year is also known for family gatherings to enjoy meals at each others homes. The lantern festival is held on the 15th day of the first lunar month, where people carry decorated lanterns which may be hand painted with zodiac signs or animals. They hang these lanterns in courtyards, outside of their homes and walk with them in the parade proudly participating in this highly anticipated and respected cultural event. 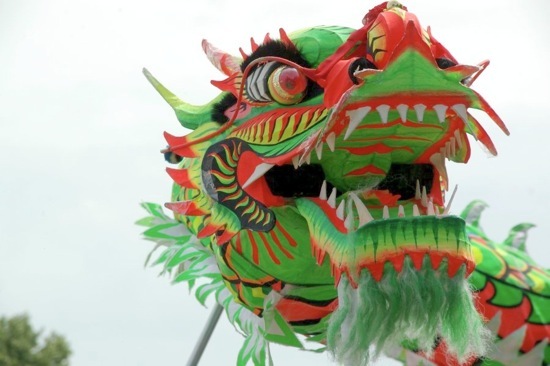 The dragon is the highlight of the parade, which can stretch to a hundred feet long and is made from bamboo, paper and silk and is carried by men down the street. Chinese New Year is not only celebrated in China, here in the United States, in many cities, Chinese Americans and people from all backgrounds join in on the celebration. Gong Xi Fa Ca! is the traditional Chinese New Year greeting, which means “wishing you prosperity” in Mandarin. Surrogate Alternatives is very happy to be apart of such a wonderful life changing event and we are excited for all the couples who’s lives will change next year!